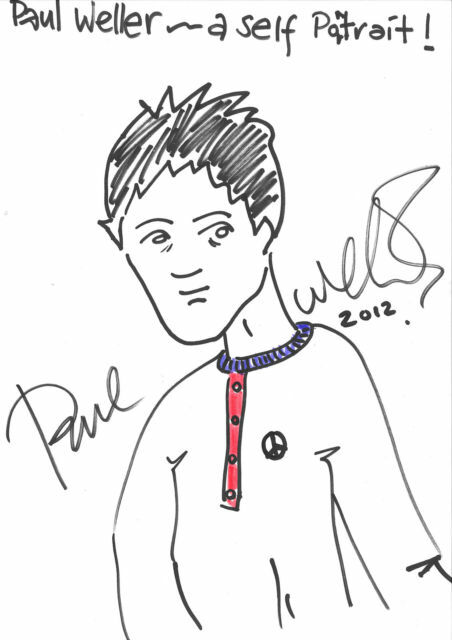 Paul Weller Self Portrait Drawing Up For Youth Centre Charity Auction! – Paul Weller News! Paul Weller Self Portrait Drawing Up For Youth Centre Charity Auction! Wonderfully cool Paul Weller Self Portrait drawing to benefit STEPS Club for Young People, a full time Youth Centre in Weymouth, Dorset, is up for auction! Get your bids in for a great cause and a wholly unique collectors item. Next Entry Paul Weller To Release ‘Dragonfly’ Ltd. Edition Vinyl EP!